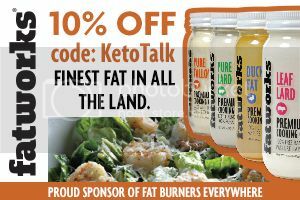 Listen in as you will hear various lectures from that conference on "The Livin' La Vida Low-Carb Show" podcast through early December to give you a taste of what is happening and what's to come. Today's lecture is from a patient diagnosed with Temporal Lobe Epilepsy who used a therapeutic low-carb, high-fat diet to heal his body Mike Dancer who will be sharing his lecture entitled "Patient Perspective -- KD for Epilepsy." 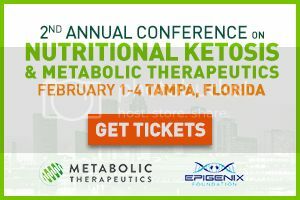 And if listening to these lectures gets you excited about attending the 2nd Annual Conference on Nutritional Ketosis and Metabolic Therapeutics coming up February 1-4, 2017 in Tampa, Florida, then GET YOUR TICKETS NOW for this incredible event featuring a stunning group of A-list guest speakers who will share more of their knowledge at this event. 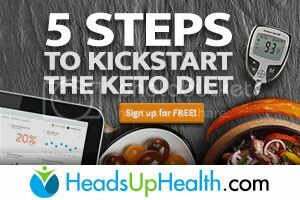 If you enjoy geeking out on the science and hearing from the researchers and practitioners themselves using keto with their study participants and patients, then this is DEFINITELY the conference for you!